Okay, okay, so Mark Twain never said that the coldest winter he'd ever spent was a summer in San Francisco. But were he alive today to be misquoted, he might proclaim this summer in California the warmest he'd experienced. And he'd be right. Federal climate trackers confirmed Thursday that this summer (defined as June through August) was California's warmest in 122 years of records. The statewide average temperature for the three months was 75.5°F, or 3.3°F above average. 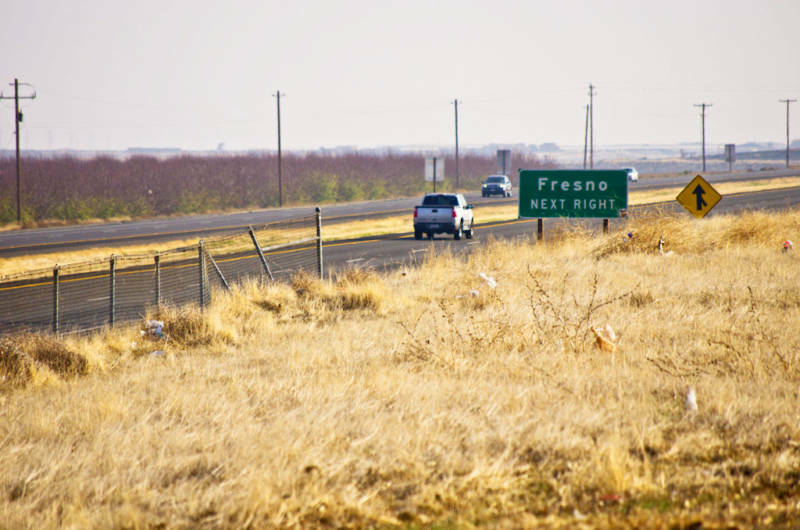 Jan Null, a noted meteorologist with Golden Gate Weather Services, called out Fresno and Redding as hotspots, with summer temperatures 2.5 and 2.1 degrees above the norm, respectively. While California was one of only three states that set temperature records for the period, the National Oceanic and Atmospheric Administration reported that every state across the Lower 48 had a warmer-than-average summer. The Pacific Ocean, on the other hand, remains stubbornly warm -- enough so that NOAA has called off its La Niña Watch for this fall and winter. Forecasts now favor "neutral" or near-normal temperatures in the Pacific when California's rainy season would normally set in. That could be good news. In previous months, NOAA had set the odds slightly in favor of colder La Niña conditions, which could favor an extension of California's five-year drought. 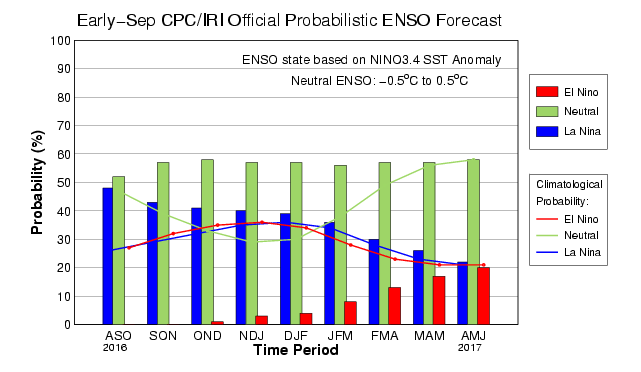 But they now say there's a 55-60 percent chance that neither La Niña nor its warm-water opposite, El Niño, will develop this winter. Last winter marked one of the strongest El Niños ever recorded, raising hopes of a drought-busting wet season. Those hopes never quite materialized, as Northern California saw close-to-average precipitation and Southern California remained relatively parched. About 60 percent of the state remains in severe-to-exceptional drought, according to the U.S. Drought Monitor.